Not quite honeydew milk (I have never had the original e-juice so I'm comparing it to real honeydew bubble milk), but it's very flavourful and amazing. It's always somewhere close when I want to switch it up. Simple recipe but full at flavour. FA Cream Whipped is key on this recipe to give that great mouthfeel. 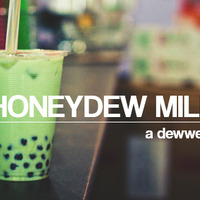 Dead on honey dew boba tea - really well done! I have mixed a lot of different flavors lately, but I'm addicted to this one. I used a different Honeydew and Cantaloupe last time, and it was alright, but Wayne is ALWAYS correct when he says the flavors he uses produce a very distinct flavor. This last batch I used exactly what was on here and the flavor was day/night difference. I Love this flavor and will be ordering a larger quantity to maintain my stock. I can vape this ALL day and it never gets old. Thanks for the Recipe. Not a huge fan of TFA Honeydew but this mix really is great with it. Well I've never had a boba tea, and I've never vaped Dewwy Boba, so I've not got much to go on in terms of comparison here. But what I can say is that this is REALLY good stuff. I love the balance of flavours. I love the texture. I love how refreshing and smooth this stuff is. It's a simple recipe that I keep returning to. It deserves a bit more love on here. This is great my friend! It only gets a lot better after 8 to 10 days or so. Wonderful vape! Thank you so much for sharing brother!